After feeling some mild post Thanksgiving depression, among other things I decided to participate in the quintessential New York pastime enjoyed between urban players, brunch. 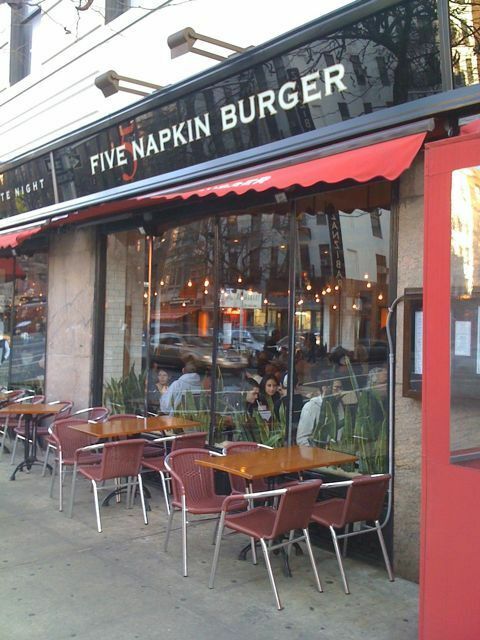 For this outing I chose to visit a rowdy, yet stylish New York landmark, 5 Napkin burger. Located in the theater district this restaurant has been slinging bistro style burgers to a pre-theater crowd for about a year and a half. Decorated in contemporary modern decor, I awaited the usual restaurant server routine in a lavish booth, overlooking a view of busy Ninth Avenue. I was pleasantly surprised with a friendly greeting from the restaurant manager Caesar; he welcomed me and urged me to enjoy my burger!! I ordered the Original 5 Napkin Burger one of numerous burgers on the menu, when the plate came I was enamored with a mountainous soft white bun before me in which the patty itself was beautifully hidden with a cascading flow of velvety comte cheese, caramelized grilled onions, and a robust rosemary garlic aioli. 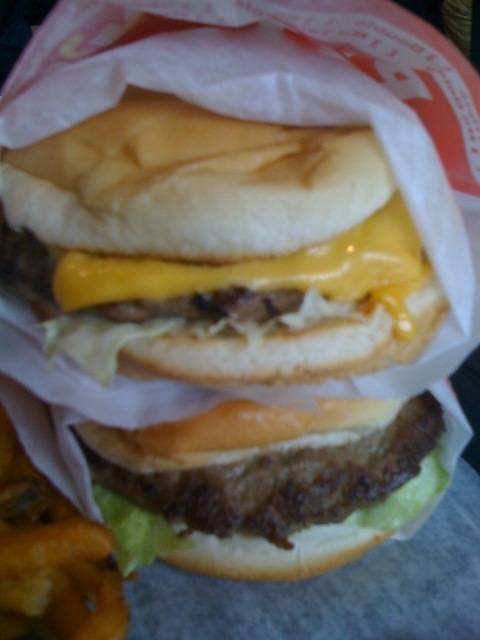 My first bite was heavenly, powered by the caramel flavor of the onions, then the freshness of the aioli, then lastly the woodsy charcoal taste of the patty it-self. There is a reason this place is called 5 Napkin burger, my hands were covered in juices as I devoured this creation into oblivion. 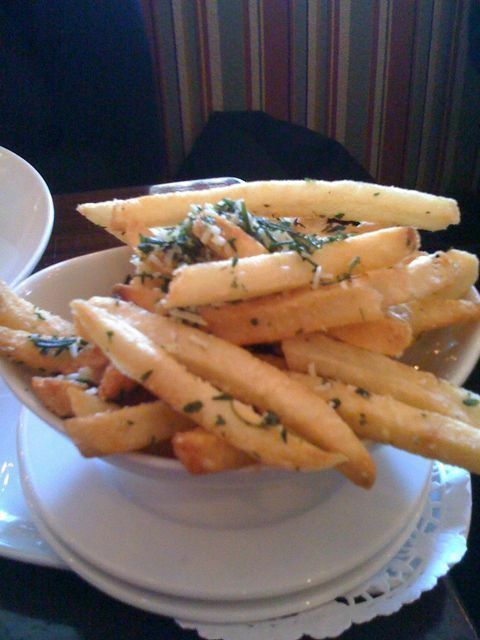 As an extra accompaniment I recommend the garlic Parmesan dusted French fries that go perfectly with this display of culinary expertise. The only negative aspect of this whole experience is that at some point it had to end. As I gazed into my barren plate, I felt satisfied, happy and content. 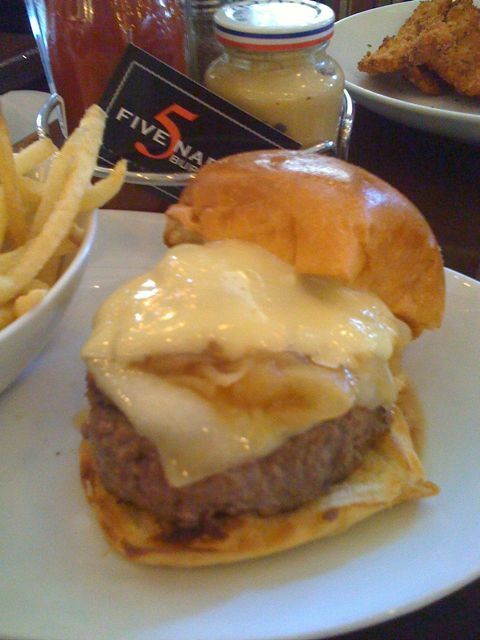 The Original 5 Napkin burger rates an A++ a great restaurant with friendly, prompt service a definitely must see on your brunch list.